Cynthia Dickinson and the Fairtrade Wakefield group have produced this fantastic banner to promote Yorkshire’s status as a Fairtrade Region. 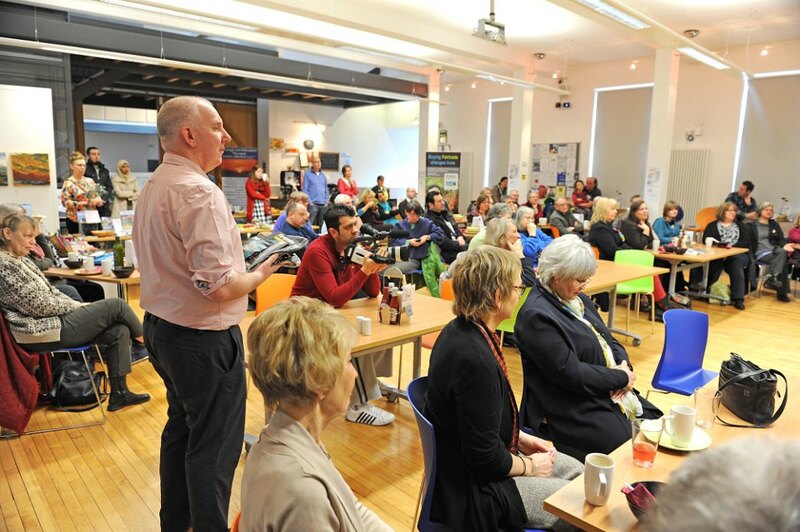 The banner will be taken to many Fairtrade events across Wakefield District. The group are working towards Fairtrade status for Wakefield and they have received the backing of the Bishop of Wakefield and shadow cabinet member, Yvette Cooper. 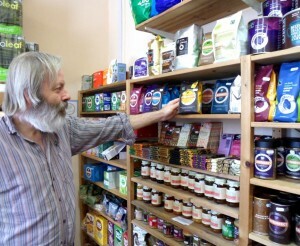 Fairer World, the renowned Fair Trade shop at 84 Gillygate, in the centre of York, has a bright new look. Following a refurb earlier in the year, the emporium is sporting a fresh, modern style worthy of a TV makeover. Fairer World has York’s largest range of Fairtrade and fairly traded products including: food, beverages, crafts, gifts, jewellery, clothing and accessories. Well worth a visit next time you’re in York. Read more on Fairer World’s website, www.fairerworldyork.co.uk. Alice with the leading sheep. 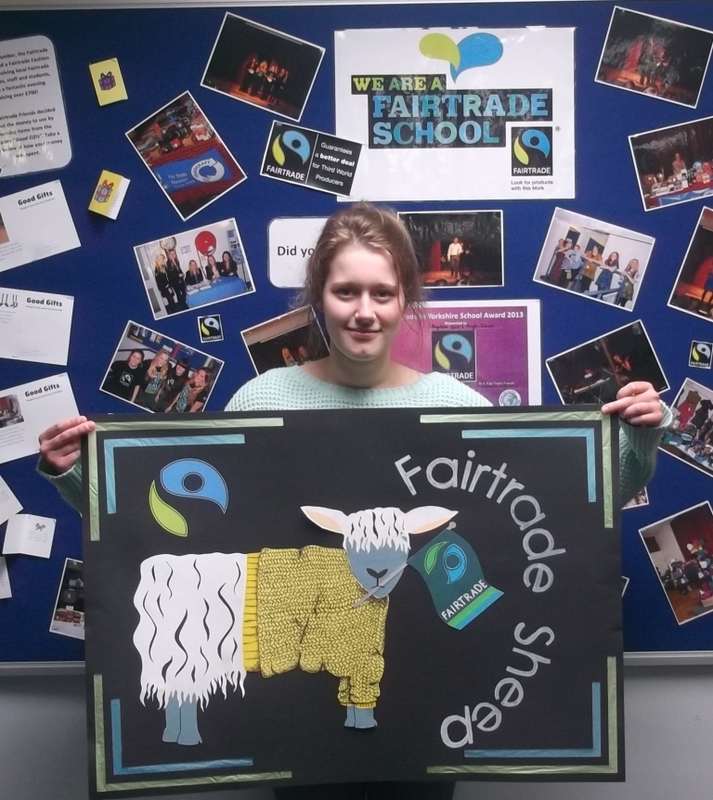 Skipton Girls High School are the proud owners of a ‘lost Fairtrade sheep’. Skipton pupil, Alice, designed the sheep which now stands in the drama studio window, looking out on one of the main routes into Skipton. The sheep is part of a Dales Tourism promotion for the Yorkshire Grand Depart, the first leg of the Tour de France race which comes to the county next year. 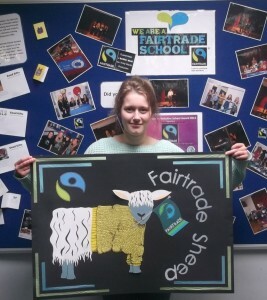 Our fine woolly friend sports the winning yellow jersey and is proud to display two Fairtrade logos. Do watch this fantastic Fairtrade Keighley movie. The Promotional video was filmed at events held in the Airedale Shopping Centre as part of Keighley’s bid to achieve Fairtrade Town status.